How complexity, alignment, and commitment factor into project success and cost. It really boils down to these three factors: complexity, alignment, and commitment. These factors dramatically influence your project’s cost and duration, as well as the risks associated with the project. Risks include “delivery risk” (unfinished project, error prone, low quality, delayed), and “benefit risk” (project does not provide enough value or is not done right). The levels of complexity, alignment, and commitment determine not only the cost and duration of the project, but ultimately, how much value Salesforce provides your organization. So what do we mean by complexity, alignment, and commitment? Complexity is the breadth and depth of your organizational needs, combined with the choices you make during implementation. For example, you can decide to put off specific functionality for a later phase, or to simplify certain features. 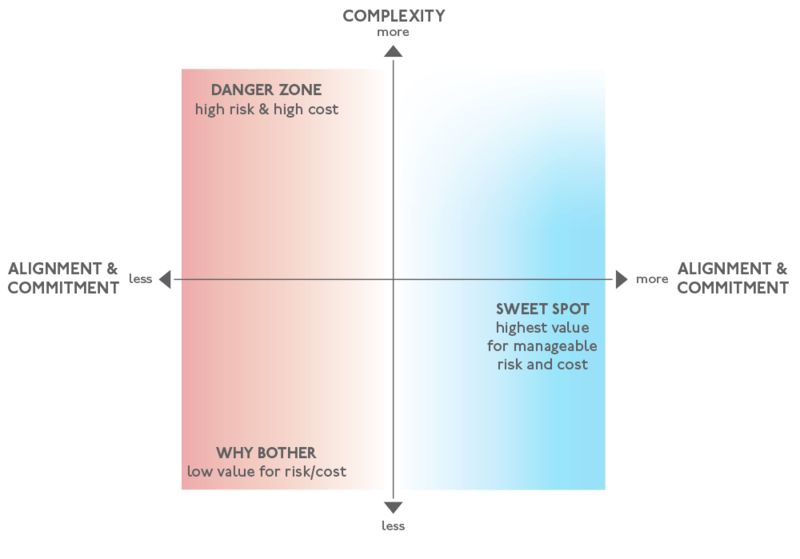 The higher the project complexity, the higher the project cost and risk. Alignment is the level of agreement between stakeholders on the goals, outcomes, and challenges of the project. Alignment also includes the ability of stakeholders to make tough decisions efficiently—and to stick to them. The lower the alignment level, the higher the project cost and risk. Commitment is the amount of quality staff time (Salesforce administrator, project lead, subject matter experts) dedicated to the project. Commitment is also the organization’s willingness to adapt to a new system and new ways of working. Project costs and risks are higher when an organization lacks this commitment. Complexity (less is better) and Alignment + Commitment (more is better). A project with high complexity, low alignment, and low commitment is very hard, high risk, and high cost. So how can you reduce complexity, and increase alignment and commitment? Let’s dive into the details! Complexity is a combination of the breadth and depth of organizational needs and choices made during the implementation processes. Alignment is the level of agreement between stakeholders, including the consulting partner. How much do they all agree on project goals and problems to be solved? Stakeholders include line staff as well as senior leaders, and often, an organization’s clients as well. The bigger the organization and the more teams involved in a project, the more challenging it is to achieve alignment. Active stakeholder involvement by respected and knowledgeable representatives of different teams. System ownership and direction is in the wrong place. For example, ownership should be in the teams using the system instead of solely in IT. Commitment is determined by a combination of how ready the team is for system change and the amount of quality staff time dedicated to the project and to maintaining Salesforce long-term. 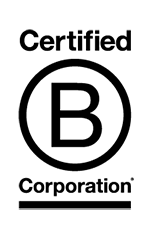 Staff who are dedicated to Salesforce and the project (project lead/owner, administrator). Ideally you’ll have dedicated staff focused on measurement and learning. Alignment behind the vision for Salesforce and a new way of doing things. This organizational readiness rubric and data maturity framework are good resources to help evaluate your organization’s alignment. Moving to Salesforce is a significant investment of time, money and energy. The more you invest in reducing complexity, increasing commitment, and increasing alignment, the better your outcomes will be. 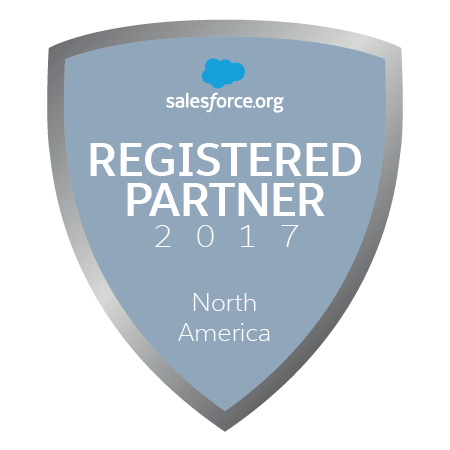 Not just from a cost perspective but also from the value you get out of moving to Salesforce. No matter where your organization is on the alignment, commitment, and complexity scale, our overall approach is designed to help you continually improve these three factors. We start projects with a discovery phase to build a shared understanding of project goals and priorities. During this phase, your levels of alignment, complexity, and commitment start to become clear. The true understanding of where you fall on these scales–and your ability to improve– comes during implementation. Clients who invest in their internal team and embrace an Agile approach quickly improve on all aspects of the scale, reducing their project costs and risks. 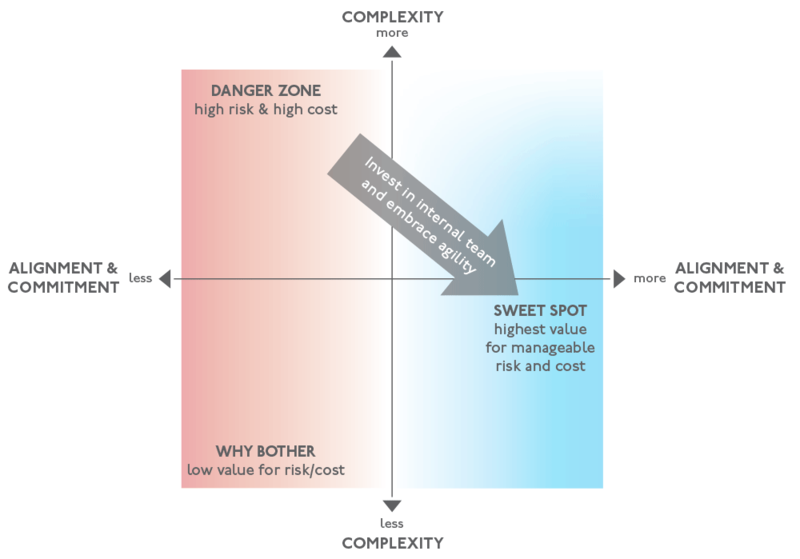 Investing in the internal team and embracing agility, moves a project down and to the right, ideally into the sweet spot on the diagram above. Our agile approach is transparent. We keep you informed of the project progress and cost at all times. We let you know the risks we see, and call out the tough decisions you need to make. This transparency helps keep all of your project stakeholders aligned, and ensures the project team knows exactly how things are progressing. We keep the project team closely involved so you learn the “why and how” of what’s being built. Our approach is iterative to allow your teams to get into Salesforce as it’s being built, to make decisions early on that will help limit complexity throughout, and to begin the process of learning and adopting Salesforce. All of these strategies increase your commitment to Salesforce, align your various teams with the project, and limit the overall complexity. So how much will your project cost? Will it be a success? It depends…but there’s a lot you can do to influence the final answer. Talk to us about how we can help. PS – Props to XPlane and their post on project costs that helped coalesce my thinking on this topic.